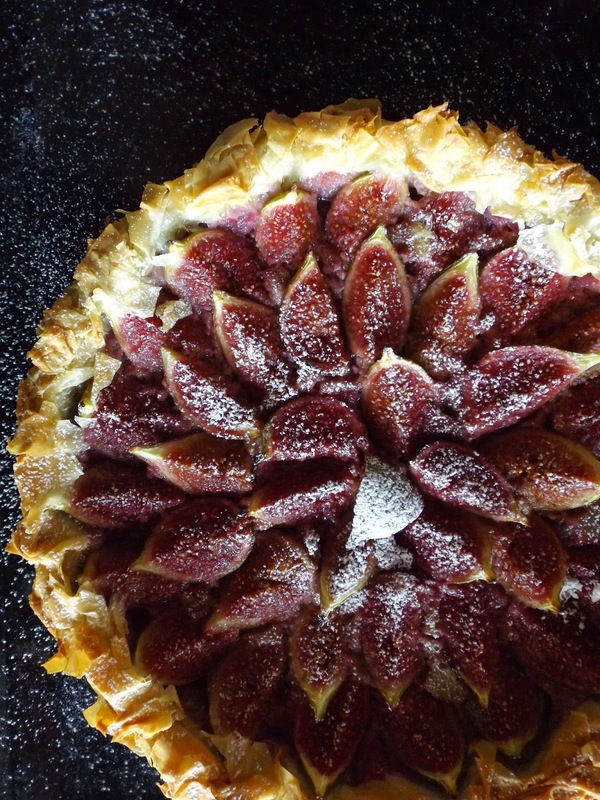 At the moment in Greece it is the height of the fig season and they are in abundance everywhere. Every fruit stall you pass has plenty and the markets have them in the their thousands. 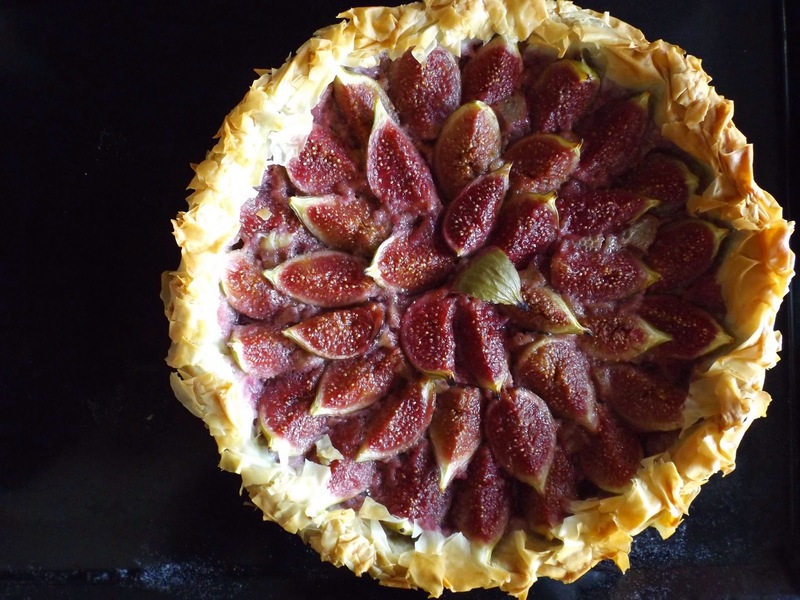 I thought I would start my Greek cooking with a crispy filo fig tart. Simple delicious and using an all time favourite ingredients. Begin by washing and picking the best figs of the bunch. 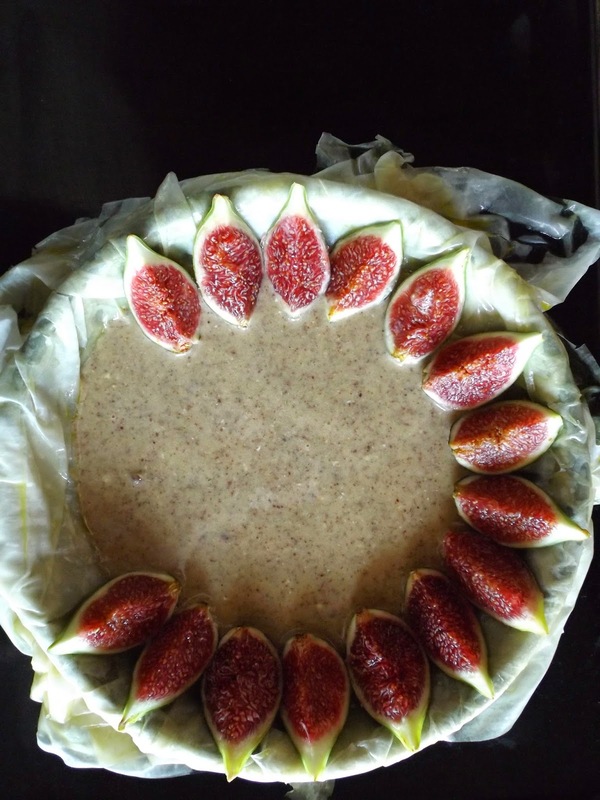 You want to carefully wash the figs as they are a pretty delicate fruit. Next, prepare your tin. Oil well and then place a layer of filo inside, then oil the filo all over. You want the pastry to crumple all around the edges as you will use it later so do not worry about trimming that off yet. Next make your almond mixture. 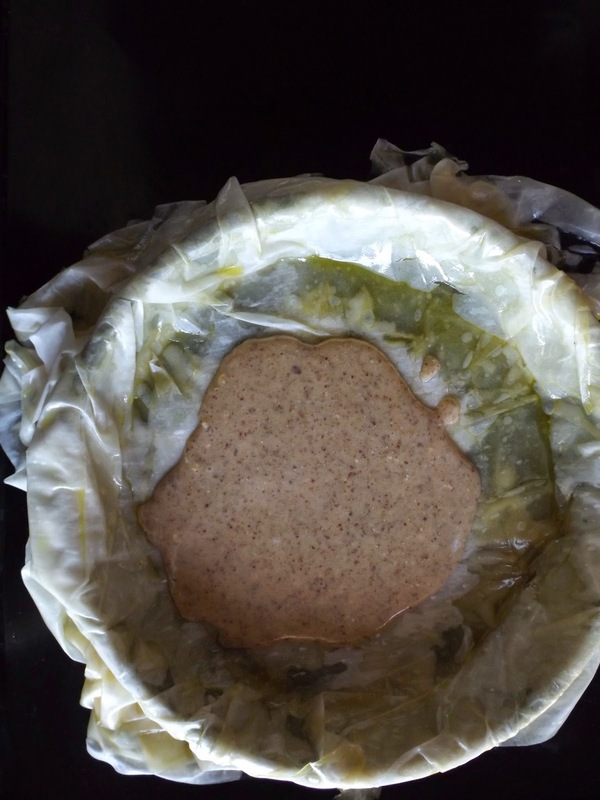 Mix your almonds, sugar together in a blender and then add the egg and butter, blitz until you have a paste. Next start to place your figs into the tin. I prefer pointy end up as I think that it prettiest but of course it is a matter of preference. Next trim the excess filo from around the edge and crumple to make a rustic edge. Make sure the exposed filo is well oiled and bake in the oven at 200C for 25 minutes. Dust with icing sugar and serve! A perfect August treat.